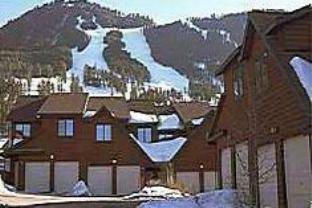 Discover all that Jackson (WY) has to offer with Snow King Resort as a base. All hotel's guestrooms have all the conveniences expected in a hotel in its class to suit guests' utmost comforts. Each guestroom is tastefully appointed with non smoking rooms, air conditioning, internet access (wireless), ironing board, television, separate shower and tub. Guests can experience the high standards of comfort while staying at this luxury Jackson (WY) hotel with everything they need right on the site such as 24hr room service, shops, executive floor, bar/pub, laundry service/dry cleaning. To unwind, guests can enjoy the leisure facilities provided on the hotel's property, including massage, jacuzzi, sauna, outdoor pool. Being one of the good quality hotels in Jackson (WY), guests staying at this hotel will find its convenient location and tranquil atmosphere pleasurable. To make a reservation at the Snow King Resort Jackson (WY) with our secure online booking form, please choose your preffered period of stay.